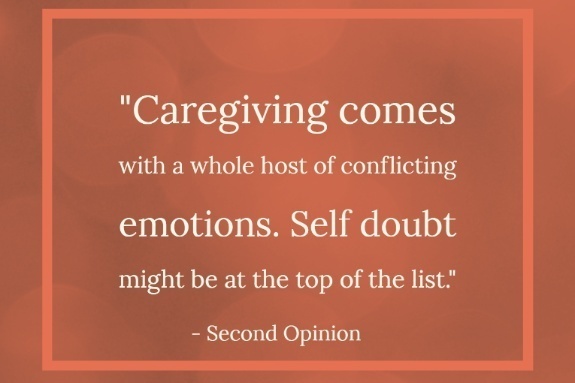 In its 2015 Caregiving in the U.S. report, The National Alliance for Caregiving estimates that approximately 34.2 million adults in the United States have been a caregiver to an adult age 50 or older in the 12 months prior to the study. 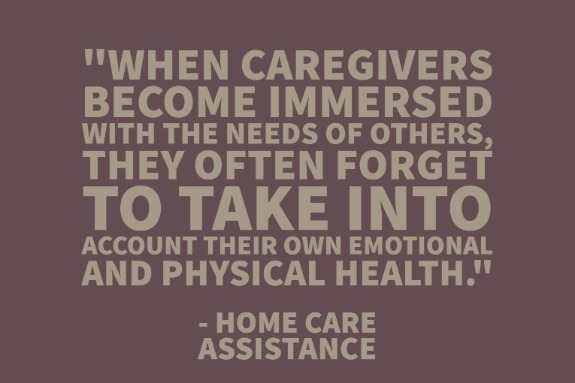 That equates to approximately 14.3 percent of all adults in the U.S. who provide caregiving services to an adult. Seven percent of caregivers in the U.S. are 75 years of age or older, and most caregivers provide care over several years – four years on average. Twenty-six percent of caregivers have been providing care for one to four years, while another 24 percent have been providing care for five years or more. Nearly half of caregivers (49 percent) say they feel they had no choice in taking on their caregiving role. Among caregivers who provide care for 21 or more hours per week, that figure is even higher: 59 percent, compared to 45 percent of those who are providing care for 20 or fewer hours per week. 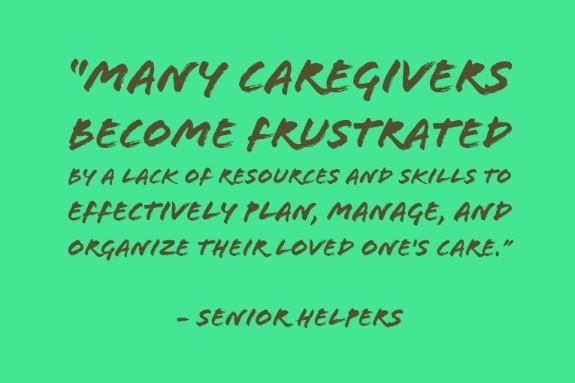 These are just a few of the statistics that can play a role caregiver burnout, although many factors influence the emotional roller coaster of caregiving. 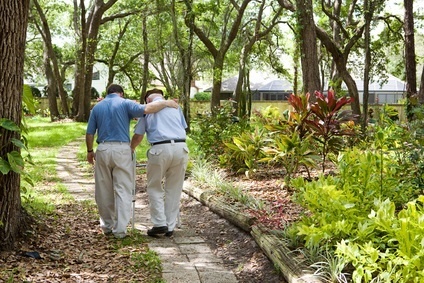 Caregivers of an older age may have health problems of their own, which can add to both financial and emotional stress. 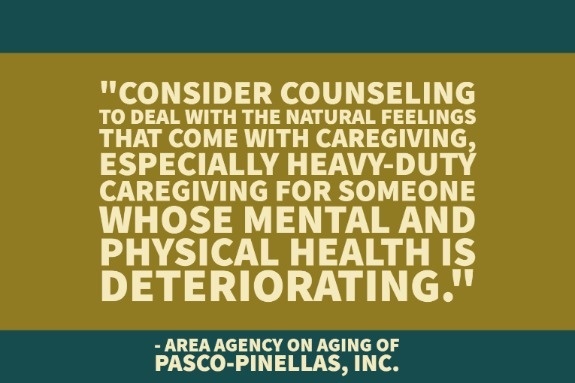 And those who find themselves in a full-time caregiving role without having made a conscious decision to do so may experience mixed emotions when faced with the stressors of caring for an aging or disabled loved one. 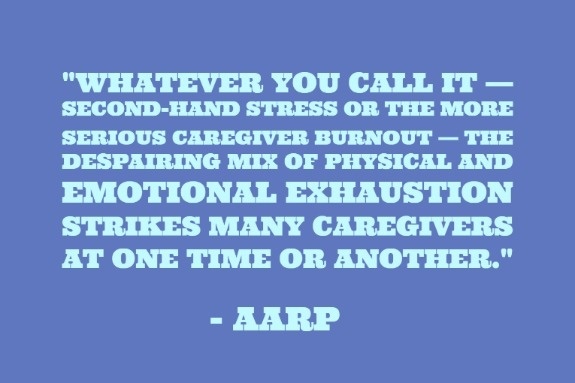 To help caregivers cope with the physical and emotional stress of caregiving and avoid caregiver burnout, we’ve put together this comprehensive guide featuring valuable tips, tools, and resources on recognizing the signs of burnout, what to do if you’re beginning to experience symptoms associated with burnout, and how to preserve your well-being so that you can provide optimal care for your loved one. 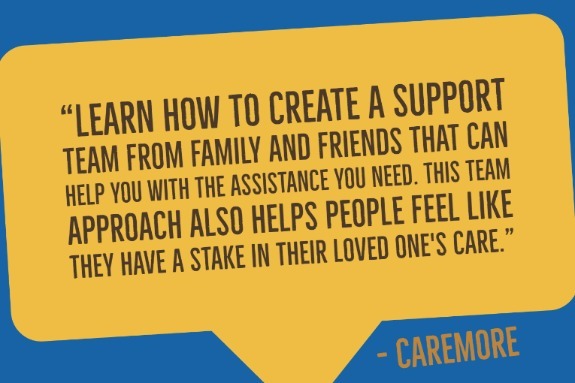 A lack of a support system may contribute to caregiver burnout. 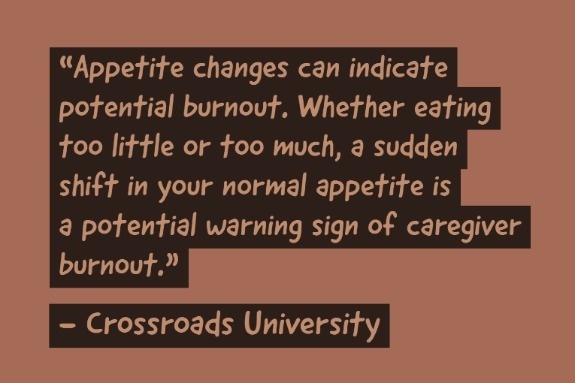 “Your coping skills and support system can also play a huge role in whether you experience burnout. Researchers found that caregivers with higher self-efficacy, the belief in one’s own ability to complete tasks and reach goals, tended to have the least likelihood of burnout. 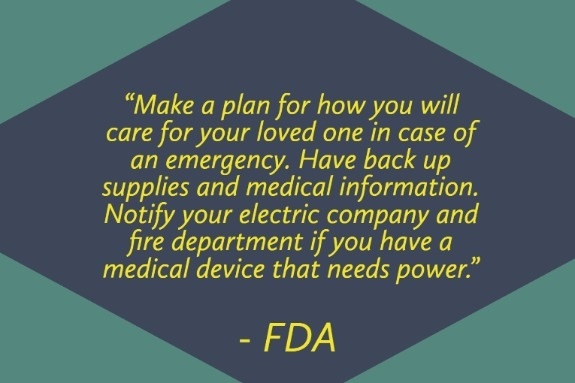 Get as much information as you can about your loved one’s medical conditions and needs. 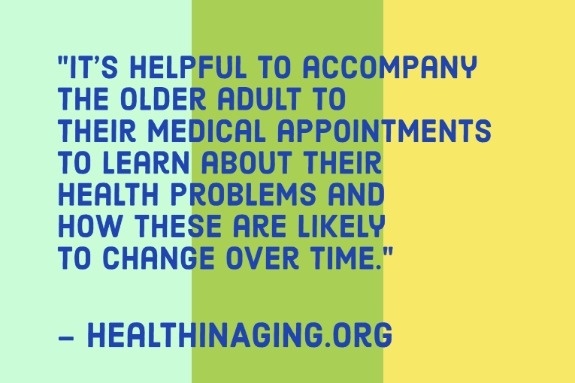 “It’s likely that an older person you care for has multiple health problems. 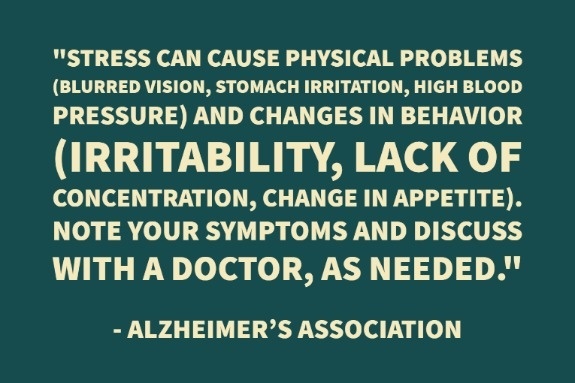 They may take quite a few medications and see several different healthcare providers to manage these conditions. 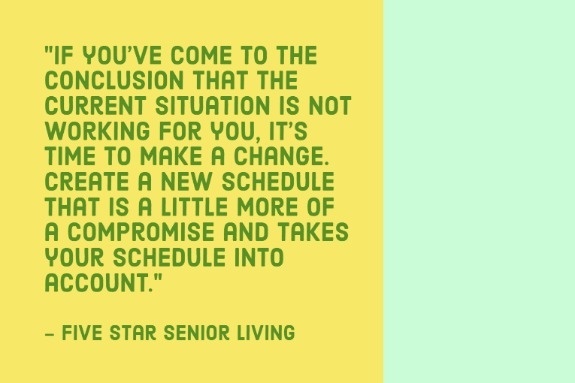 This can make managing their care more complicated for you as a caregiver. Ask for – and accept – help from others. 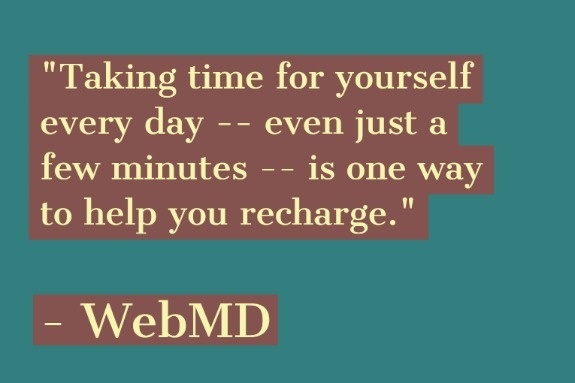 “To prevent burnout, you need to put yourself first and get help. 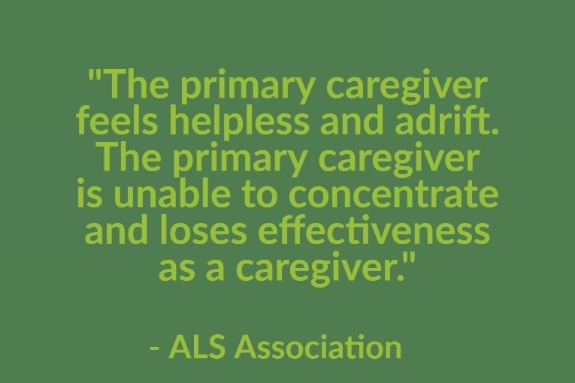 Often caregivers neglect their own needs and this ultimately creates an emotional and physical strain. Help can come through many resources. 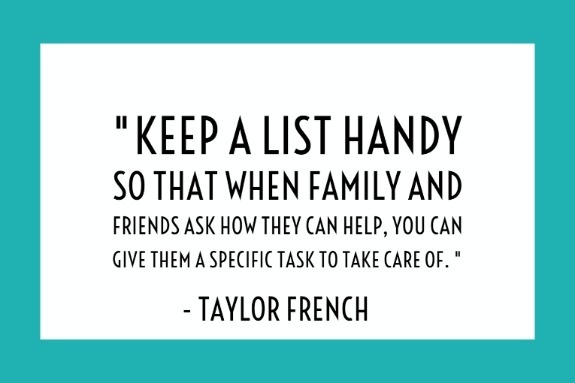 You can ask for help—perhaps by reaching out to other family members to help carry the load, or relying on a friend or neighbor to lend a helping hand—even if it’s just something simple like helping you with an errand. Learn to delegate—you can’t possibly do everything yourself—set realistic expectations for yourself and understand your limitations.” - 5 Signs of Caregiver Burnout and How to Avoid it, Caregiver Services, Inc. Choosing a quiet spot in your house and making it your sanctuary. Schedule daily breaks—write them on your calendar or to-do list if you won’t remember. Go to your quiet place and read, journal or listen to music. Find a creative outlet. “Self-expression can be healing and rejuvenating. Many parents of children with special needs have some sort of creative pursuit – photography and scrapbooking, music or writing, sewing or cooking, woodworking or making jewelry, landscaping and gardening. Keep the flight analogy in mind: Always fasten your own oxygen mask before assisting others. 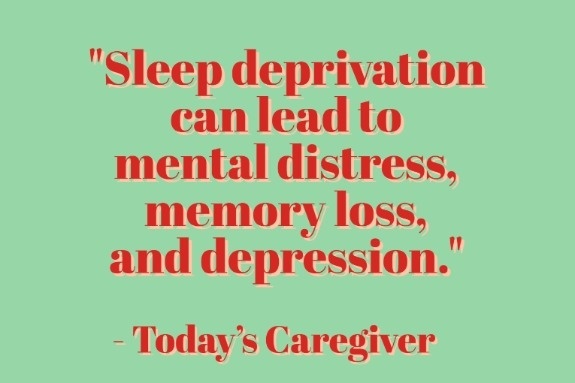 “Probably all caregivers feel guilty at one time or other. 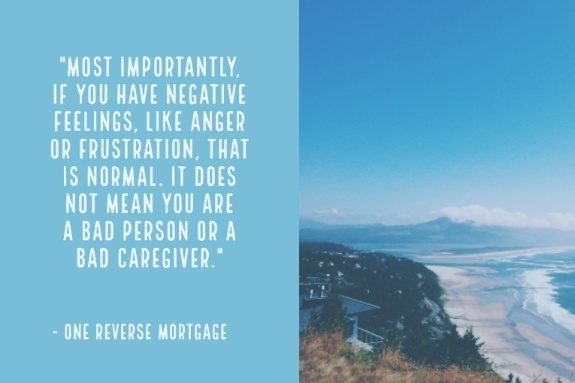 Maybe you feel you're not providing enough care, or the right kind of care, for your loved one, or maybe you're upset that you've lost patience occasionally. 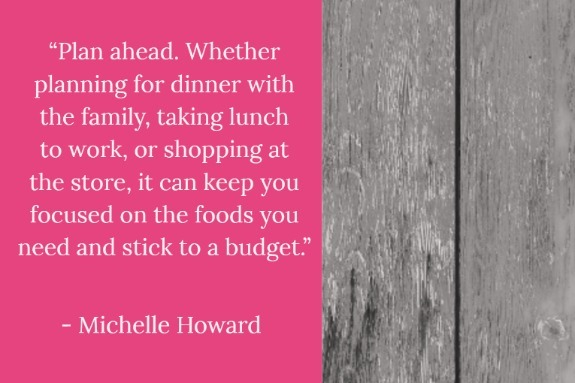 You may feel bad about wanting more time for yourself, or you may be having a hard time with all that's involved in caregiving. 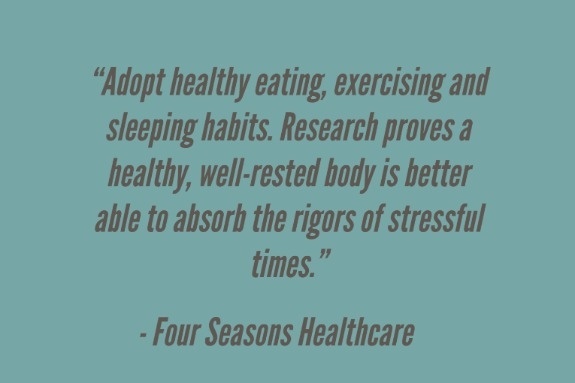 This is natural, but it also may be a sign that you need a break. 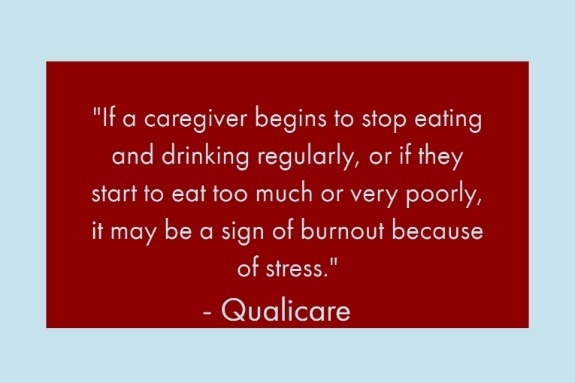 “You can't be a good caretaker if you don't take care of yourself. A commonly-used analogy is the advice given to airline passengers on takeoff: in an emergency, fasten your own oxygen mask first before attending to a child's mask. 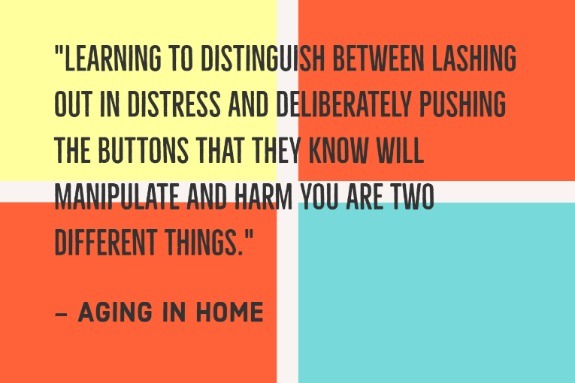 The same principle applies to caregiving. You've got to tend to your needs first if you're to be responsible for another person. 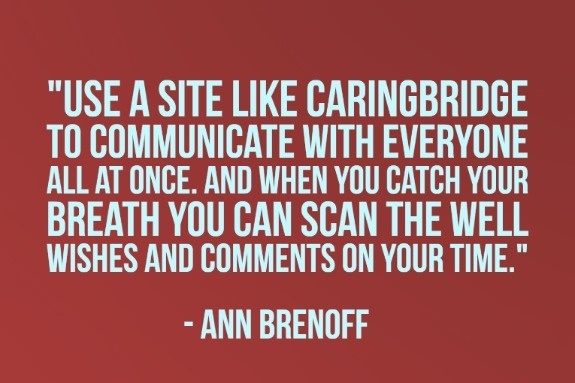 Use technology. “Technology can help, but it can also be a burden if it’s not specifically designed for caregiving. For example, the Claris Companion was developed to help ease the stress of care giving while increasing communication with the person receiving care. It’s a simple in-home communication device for your loved one that’s managed remotely by caregivers from any computer, tablet or smartphone. Take an objective look at all you do. Think about what it would take to replace you . 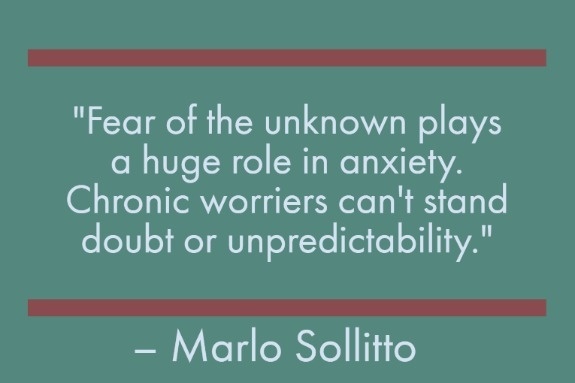 What's the probability that what I'm scared of will actually happen? Is there a more likely, alternate outcome? 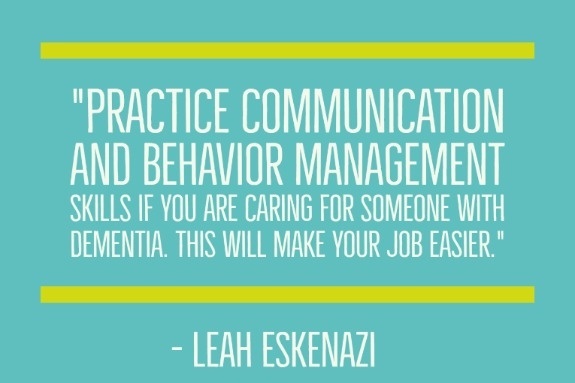 Build, nurture, and lean on your caregiver community. 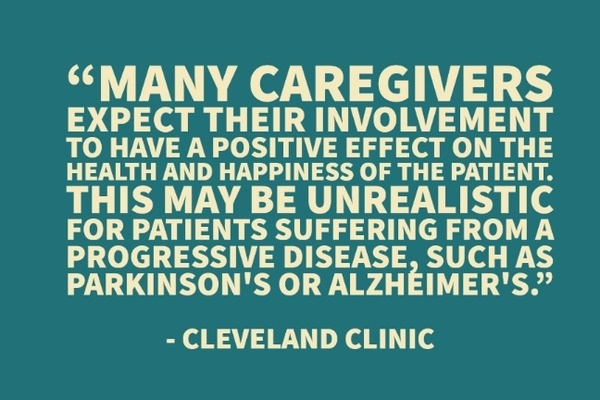 “A Pew Research Center Poll found that about 40 percent of American adults act as caregivers for a loved one. These people can share invaluable wisdom learned through first-hand experiences. Knowing that others are undergoing the same struggles can also help provide you with the encouragement you need to persevere. You have a powerful community behind you, you simply need to learn how to leverage it. 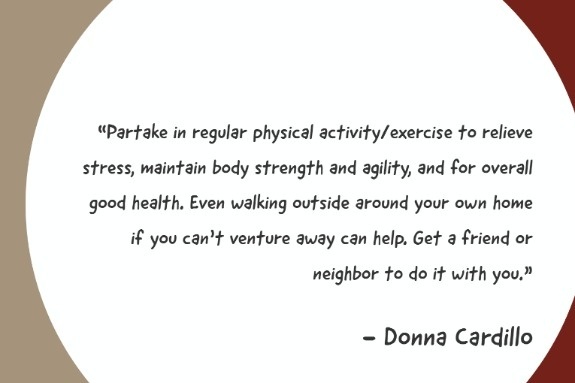 “Community building is a crucial step towards reducing the stress that caregivers experience. Your community can include your family, friends, colleagues and neighbors, as well as the family, friends colleagues and neighbors of the person you are caring for. You can also lean on others in your area who understand the challenges you are facing because they have faced them themselves. 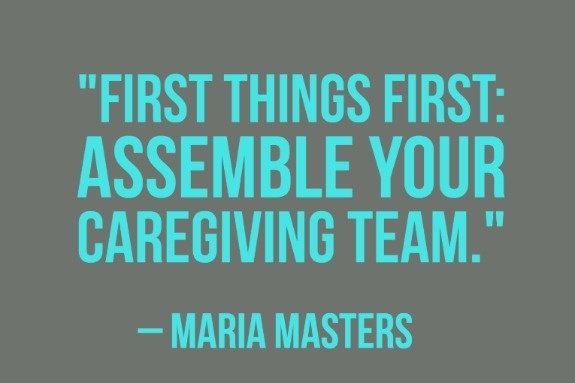 By maintaining peer support, family relationships, social connections and professional contacts, you will be armed with a powerful community who can help you through your caregiving journey.